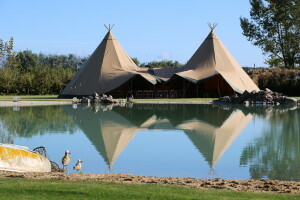 Interested in hiring a tipi? Have a date in mind? Check if we are available using the below calendar. If it's green you're in luck, contact us for a customised quote. Don't forget to like our Facebook page, follow us on Instagram, Twitter or Pinterest to stay up to date with all things tipi! If you’re thinking of holding a corporate event and want something different, why not provide an experience that will leave a lasting impression at your next corporate event by hosting it in a giant Nordic tipi. Whether it is a day or night event the tipis will wow your guests. Whatever the weather tipis create the perfect environment for your event, use the fire pit and diesel heater for a warm cozy atmosphere or raise the sides for a stylish and unique shade area. 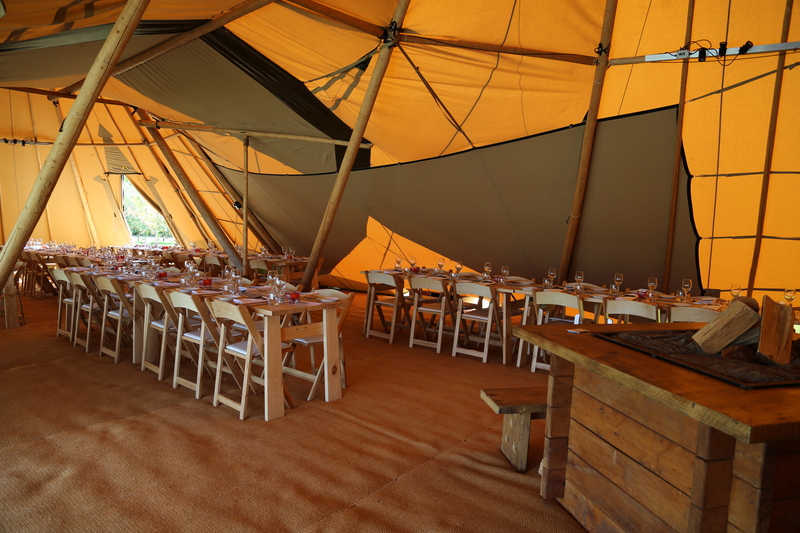 The tipis can be set up to be open and welcoming at one end whilst the other end creates an enclosure perfect for a speaker or even a projector screen. Bowater Toyota were awarded Toyota Dealer of the Year 2014 and celebrated with a dinner in tipi! The Double Tipi Deluxe package with fire pit created the unique atmosphere they wanted that had everyone talking. 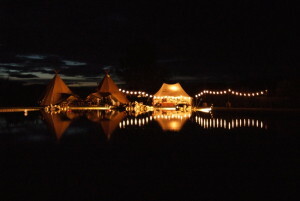 Nordic tipis are visually stunning and create a warm atmosphere and a place to party long after the sun goes down. Tipis can be set up on any patch of grass with enough space – a farm, park or even your back yard, you name it, Kiwi Tipi will do it. 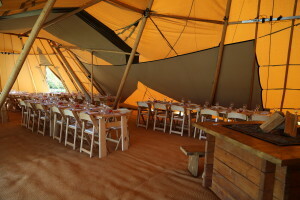 Call us to talk about organising your next tipi event with Kiwi Tipi to create something different! © 2019 Kiwi Tipi. © 2013. Kiwi Tipi Ltd. All Rights Reserved.